It’s a mystery to no one paying attention that D.C. General needs to be closed.. 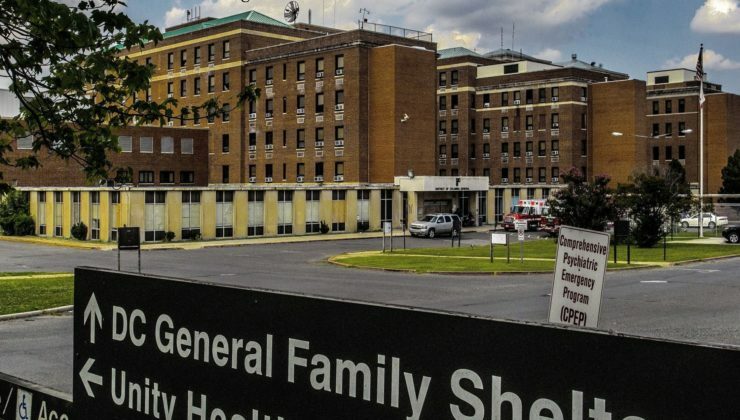 Built as a hospital in 1846, the facility–which houses more than 100 homeless families–is unsanitary, unsafe and lacks the accommodations necessary to house anyone, let alone families experiencing the trauma that can come with being homeless. We agreed with Mayor Bowser’s decision to close D.C. General in favor of building smaller shelters spread out across the District, and we still agree with her now. The mayor ran on a platform of making homelessness brief, rare and nonrecurring. That’s a position we share. But with construction of several new shelters running critically behind schedule, the mayor is proceeding with plans to begin deconstructing D.C. General with families still living on the property. At the March 14th roundtable on DC General’s closing, advocates, medical professionals and concerned DC residents all testified about the dangers of demolishing a building with lead, asbestos, rodent droppings and other harmful agents while families were still onsite. Yet the administration currently plans to plow ahead with their current demolition schedule–this month–even though they have yet to provide a reason to the public or the Council that explains why they cannot wait until families are moved off of the site in just a couple of months. We believe D.C. General should be closed – but not like this. Advocates are right to be concerned about the families still housed there — 151 as of July 13 , which is down from the nearly 300 that once lived there. But warehousing people in a facility that was always too old and too big and is now literally falling down — “an embarrassment to our city,” Ms. Bowser rightfully said — doesn’t serve their interests. But in their rush to praise Mayor Bowser, the Post creates a false choice. What the editorial board is writing off as mere political “pressure,” is genuine concern for the safety of families at D.C. General. Additionally, while the Editorial Board may think that the Administration has plans to relocate families to stable, permanent housing versus another shelter or a motel, Director Zeilinger has gone on the record several times about her plans to rely on the rapid rehousing program and temporarily moving people to motels. In short, speeding up the demolition does not even keep the Administration’s own promise to the families housed at DC General. We oppose any demolition or deconstruction at the shelter due to serious safety risk it poses to current residents. The District’s Department of General Services has offered assurances that they will work to reduce risk to families, but the reality is that there is no “acceptable” amount of risk–especially when it can be prevented. To gamble with the lives of children and families simply because you can, is unconscionable. And when 100% of those families are Black, it again calls under scrutiny the city’s professed commitment to anti-racism and promoting just policies. This isn’t just a bad move–this is unjust. And with no word from the Administration about why they must speed up demolition despite the risks to the 250 children and their parents housed at DC General, Jeff Bezos’ recent search for an economic development manager in DC and the fact that DC General is a likely site if DC were to win the Amazon bid, we can only conclude that attracting one of the richest men in the world is worth risking the health and safety of Black people experiencing homelessness in DC. What this seems to be about, is keeping promises at the expense of people. But our question remains, promises to who? I believe DC General shouldn’t be torn down. DC General is in the condition it’s in due to year of lack of maintenance. DC has been apart of DC for as long as I been born. I believe I can not only save DC General, but create a new environment that ends homelesssness. I have a business plan that’s constructed around not just DC General but other properties that can create a new vision for DC. It is a shame that Bowser administration is all about dollars and cents at the cost of the poor getting the wrong end of the stick. She is definitely on a time line to tear down the shelter. If we don’t educate, petition and rally together DC will be out of our reach.